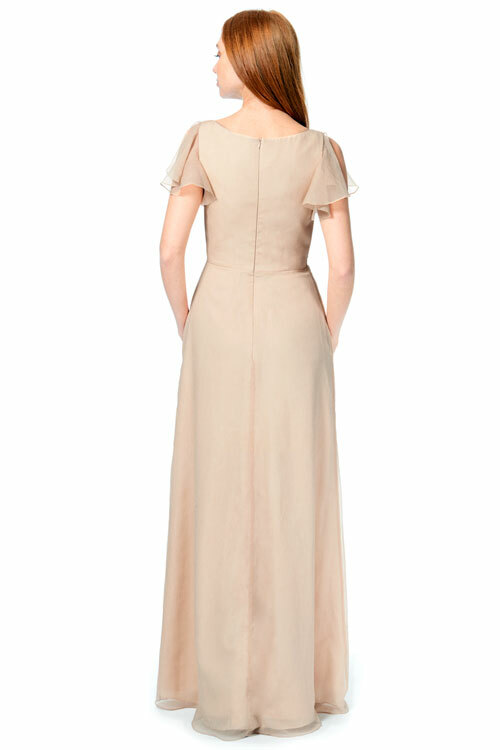 Bary Jay bridesmaid dress style 1880 - Pleated bodice with V neckline and draped sleeves . Slim pleated skirt with pockets and center back zipper. Available in Luxe Chiffon and Short Length.